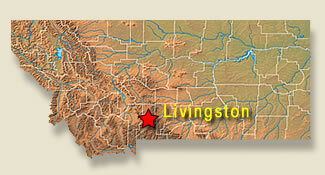 Livingston was originally a railroad town and a ranching community. When the railroad largely left in the 1980’s, Livingston reinvented itself as a center for the arts. The railroad is still an influence on the town, and ranching remains a common way of life, but the downtown is now full of restaurants and art galleries, which draw a number of young people to town. There is a thriving summer/autumn farmers’ market and the fly-fishing industry is big here as well. Nearby Yellowstone Park and the Absaroka/Beartooth wilderness are big draws. Folks come from all over to enjoy hiking, trail running, mountain biking and rock climbing. The proximity to Bozeman, a college town is another attraction. University of Colorado School of Medicine; University of Washington Internal Medicine Residency. He has practiced in Livingston since 2003. He is married to Kristin Wadle, with 2 kids, Elise, and Sam. His hobbies are Nordic and alpine skiing, trail running, and he plays soccer and softball when able. Special practice interests: Women’s and maternal health in underserved local and global communities. I enjoy working with folks at all stages of life, from infants to adults, as well as in pregnancy. I value understanding how a patient is doing, not only physically, but also their psychological and social well-being. Helping a patient achieve the best health possible starts with truly listening to their history and approaching any treatment as a shared decision making process with the patient. Family Medicine: Mark Schulein, M.D. • Stefanie Lange, M.D. HOSPITAL ROUNDING – All the physicians see their own patients in the hospital. Internal Medicine takes care of most ICU patients. Multiple procedures are performed, including cardiac stress testing, pulmonary function testing, upper and lower GI endoscopy, bone marrow biopsy, and others. SURGERY OPPORTUNITIES – Dr. Lee does most general surgery and a lot of endoscopy; Dr. Adishian does most orthopedic surgeries, including total joints. Dr. Helin does gynecologic surgery, but not oncologic procedures. OB is mostly family medicine based, with Drs. Reid, Coleman, K. Pinango, Stevenson and Walker performing most births. We also have Dr. Helin who heads the OB department, provides expertise in management of high risk pregnancies and leads OB emergency drills quarterly. CONSULTING SPECIALISTS – We have multiple visiting specialties on a regular basis including Cardiology, Audiology, Dermatology, Urology, Oculoplastics and others. 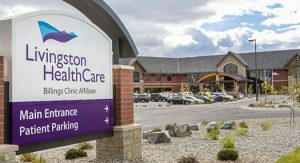 Oncology from Billings Clinic is our most utilized service, and they visit weekly to help care for our cancer patients. Livingston Healthcare Clinic: The Clinic is now part of the new hospital and houses all the physicians, except Dr. Schulein and Dr. Lange who work at CHP, our community health clinic for uninsured patients. Nursing Home:Most physicians see their patients at the nursing home a day or two per month. The nursing home, LHRC, is not associated with the hospital. Livingston is right on I-90, so it is a straight shot from Seattle, about 9 hours driving. It is 30 minutes east of Bozeman, and 90 minutes west of Billings. There is an airport in Bozeman, from which it is fairly easy to reach any destination. To see a map of where we are located and/or get directions from other locations, go to Google Maps. Outdoor recreation is plentiful with nearby hiking, backpacking, trail running and mountain biking. Outdoor sporting opportunities such as fly fishing and hunting abound in the nearby mountains. There is a railroad museum and Yellowstone gateway museum right in town. Chico hot springs is 30 minutes south of town and Yellowstone Park 1 hour south of town. The city swimming pool is open mid-June through mid-August. There are 2 gyms in town. Downhill skiing is available at Bridger bowl (30 minutes), Big Sky (1 hour), and Showdown (90 minutes). Cross country skiing trails are numerous in the national forests, and on groomed trails in Bozeman and Bohart ranch (30 minutes) and Yellowstone Park. The farmers’ market on Wednesday evenings is great with live music and lots of food and good produce and crafts. The town boasts a Carnegie library, just renovated, with computers and Wi-Fi. Livingston also has a number of great local coffee shops with good Wi-Fi as well. Livingston is known for its winds, but they are worst in the winter and fairly minimal other seasons. We have a mild winter with little snow accumulation, but skiing is close by in the mountains and in Bozeman. It is warm in the summer, with highs sometimes approaching the mid-90s, rarely over 100 degrees.